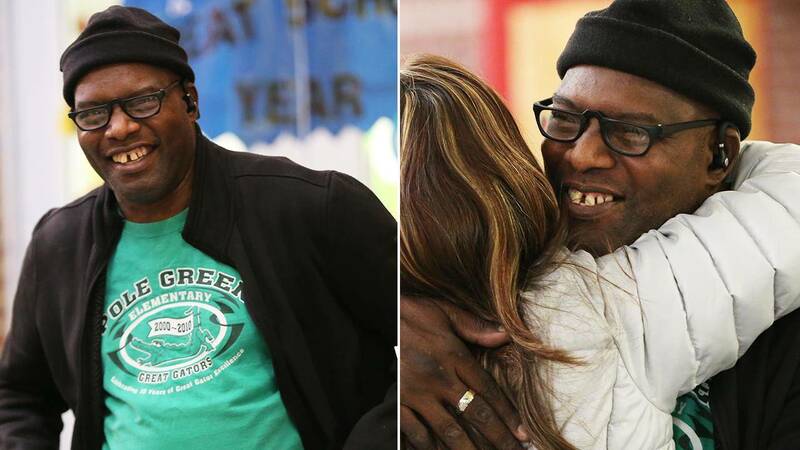 An elementary school custodian got a new lease on life following his heart and kidney transplant, and naturally, all 600 students and staff celebrated with him. Tyrees Dandridge, also known as Mr. D around Pole Green Elementary School in Virginia, was met with a surprise welcome back party on his first day back to work after medical leave. Dandridge, who has been with the school for 19 years, said he knew there would be people to greet him, but was shocked to see the school board and news channels show up. Students made banners and welcomed him back with high-fives and cheers. “When I seen all them people, that’s a great day,” he said. Dandridge explained he has been on the donor list for a heart and a kidney for three years. He got an unexpected call from his doctor in October that both organs from the same donor were available, and rushed to the hospital shortly after. The transplant was a success. He made steps to his recovery shortly after and was discharged just two weeks later. He now hopes others will be inspired by his story and consider becoming organ donors.